First in the Sara Beaufort Crime series. It is autumn 1924. Sarah and Larch are good friends who join together to discover the killer of Miss Bates, a seemingly harmless old lady living with her cat and her memories. 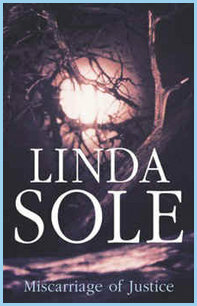 When Morna, a gypsy girl, is strangled in the woods, can the two murders possibly be connected? There are several potential culprits, but the evidence suggests that the police's main suspect just cannot be guilty. And further attacks not only reveal some unsavoury goings-on in the village - devil-worship among them - but also unveil further potential murderers, one of whom is a prime suspect until he meets a very unpleasant end himself. Ex-Scotland Yard detective, Ben Marshall, is lured out of retirement to investigate. But Sarah doesn't believe the murder of Janet Bates fits with the others, and continues her own investigation into an old scandal which finally leads to the truth. Or does it? Perhaps a part of the truth may never be known for sure.